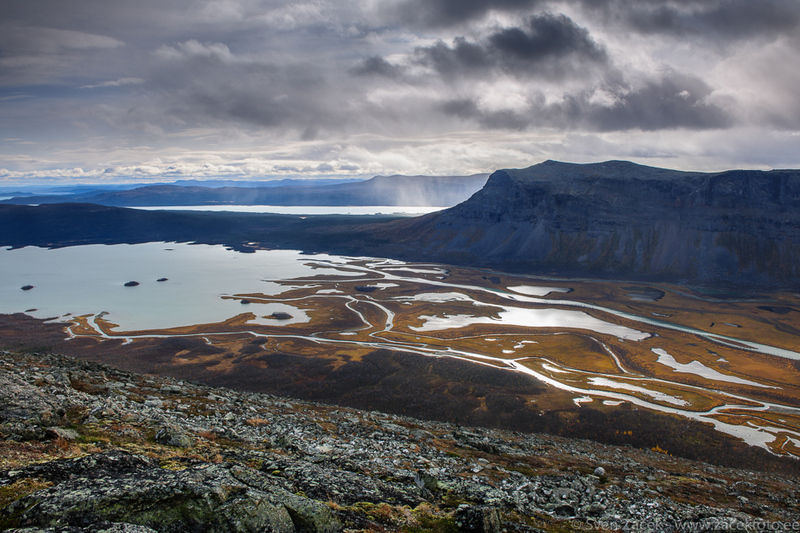 Fast cloud movement and strong showers is the trademark weather in Sarek National Park over Rapa river delta. I was lucky that the rain was falling a bit far away and made a nice photographic opportunity rather than soaking me. Photo info - Autumn: Nikon D3x + Nikkor PC-E 24mm.